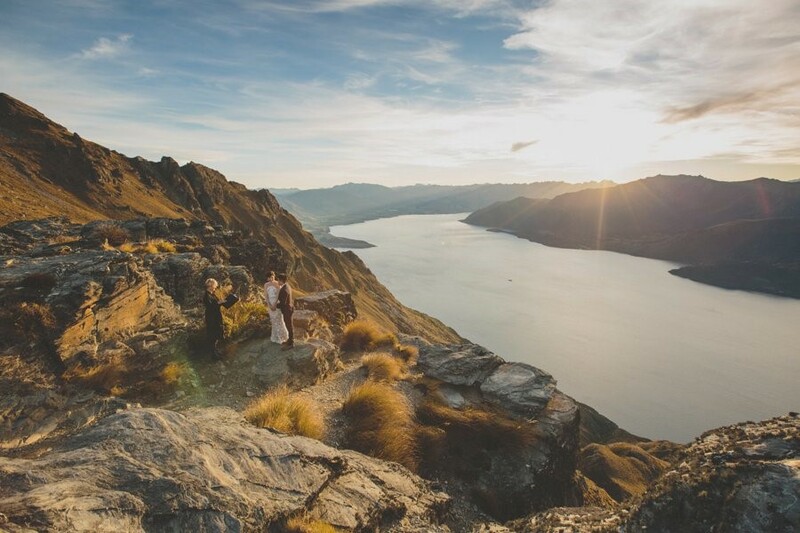 Deciding to elope to Queenstown was an easy decision for these two. Just to get away from their extremely busy lives as doctors in Australia and disappear up the top of a mountain at sunset to exchange their vows was their idea of romantic bliss. And Queenstown, bless her, put on an absolute stunner of a day. Late Autumn can often be confused with early winter, especially if the snow comes early but this year, nature behaved herself and gave us one of the best Autumns that we’ve had in years. For Natasha and Jee, it was everything they hoped for.